Wonderful evening of Mystic Latino music with Cloud Cuckoo, Jorge and Paloma and others. Circle dance to songs of Victor Jara on the Friday evening at Derwenlas. 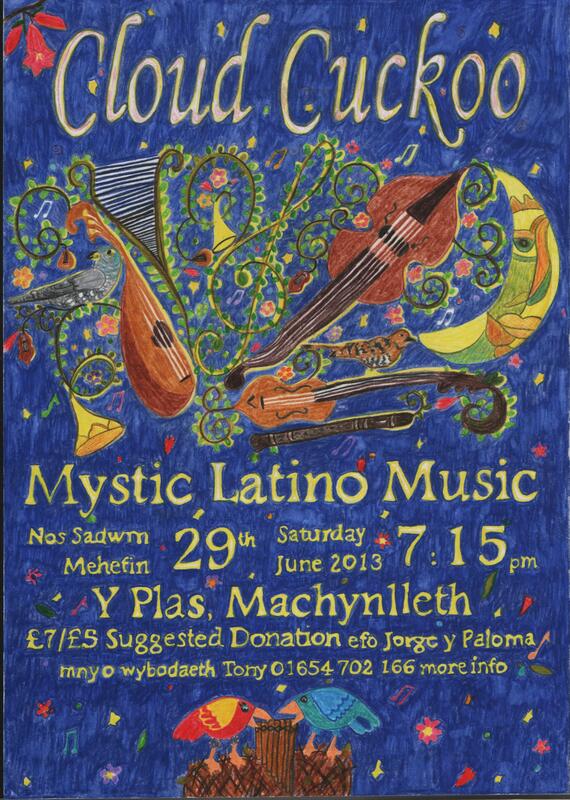 Sat evening starts at 7.15pm and is at Y Plas, Machynlleth. Suggested donation is £7 ; £5 conc.